After bringing the latest Android experience to the flagship Nokia 8, HMD Global is now set to directly provide Android 8.1 Oreo to Nokia 2. The handset was launched in October with Android 7.1 Nougat. It comes with an “average global price” of EUR 99 (approximately Rs. 7,600), and arrived in India late last month at Rs. 6,999. HMD Global Chief Product Officer Juho Sarvikas in a tweet on Thursday confirmed the Nokia 2 will receive Android 8.1 Oreo. Sarvikas also suggested that the cheapest Nokia smartphone will receive some memory management improvements from Google’s Android Go programme that was announced earlier this year and recently rumoured to debut on Nokia 1 sometime in March. “1GB RAM devices will be supported on 8.1 release where many of the Android Go memory management improvements will be integrated. Nokia 2 performance will only get better over time!” the executive tweeted. HMD started the process of releasing Android 8.0 Oreo update for its smartphone portfolio with the Nokia 8 in November. Following the release of Android Oreo for the top-end Nokia smartphone, the Finnish company announced Android 8.0 Oreo beta builds for the Nokia 5 and Nokia 6. Both the mid-range Nokia phones received Android 8.0 Oreo beta build earlier this month. Further, the company is set to seed Android Oreo to Nokia 3 by skipping a due Android 7.1.2 update. It is worth noting here that HMD previously planned to bring Android 8.0 Oreo to its Nokia smartphone range, and the Nokia 2 is its first model to receive Android 8.1 that was launched just earlier this monthfor Google Pixel and Nexus devices. Sarvikas’ tweet didn’t reveal by when can we expect the new experience. However, it is quite presumable that the company would bring the update sometime early next year. 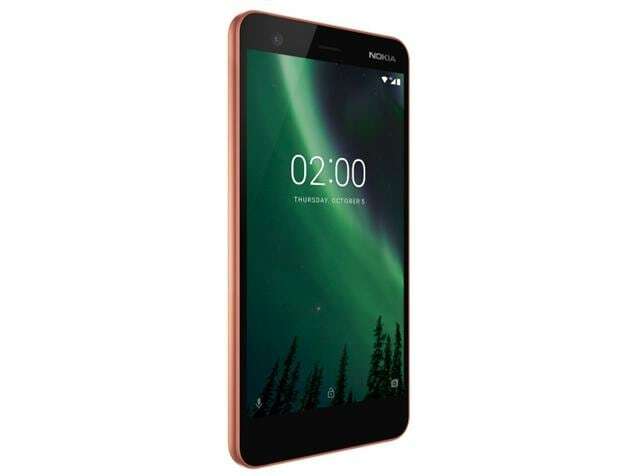 The Android Nougat-running Nokia 2 features a 5-inch LTPS HD (720×1280 pixels) display. It is powered by a Qualcomm Snapdragon 212 SoC with four cores of ARM Cortex-A7 CPU at 1.3GHz, coupled 1GB of RAM. The smartphone has an 8-megapixel rear camera sensor with an LED flash and a 5-megapixel front camera sensor. It packs a 4000mAh non-removable battery that is claimed to deliver two days of power on a single charge.